Cleaning plan, bathroom flooding or residual waste bin: In this dictionary everyday situations in the dorm are presented with illustrations and vocabulary in three languages. The dorm dictionary is intended to help international students to orientate themselves in the new environment and to feel at home as quickly as possible. 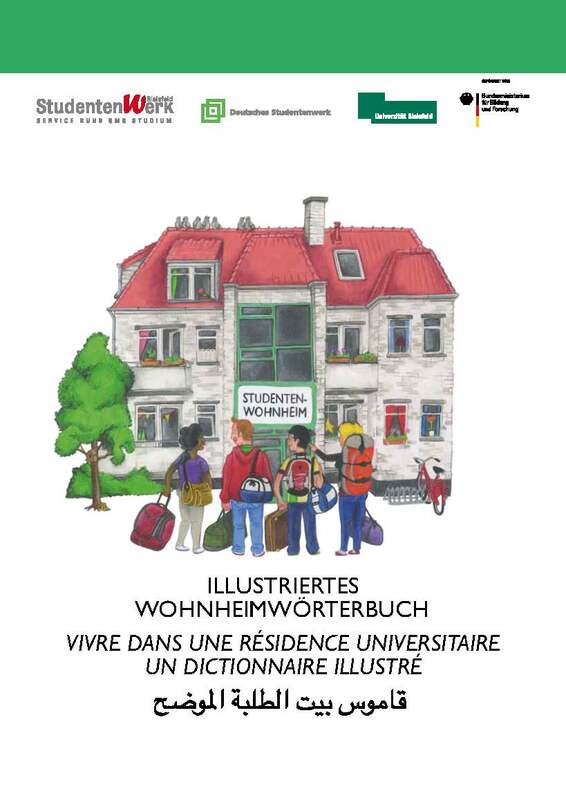 The dorm dictionary was created as a subproject of the DAAD funded project "Intercultural communication in learning and work teams" at Bielefeld University. It is published by the German Studentenwerk and the Studentenwerk Bielefeld. Please note that part of the information relates to the city of Bielefeld and the University of Bielefeld. 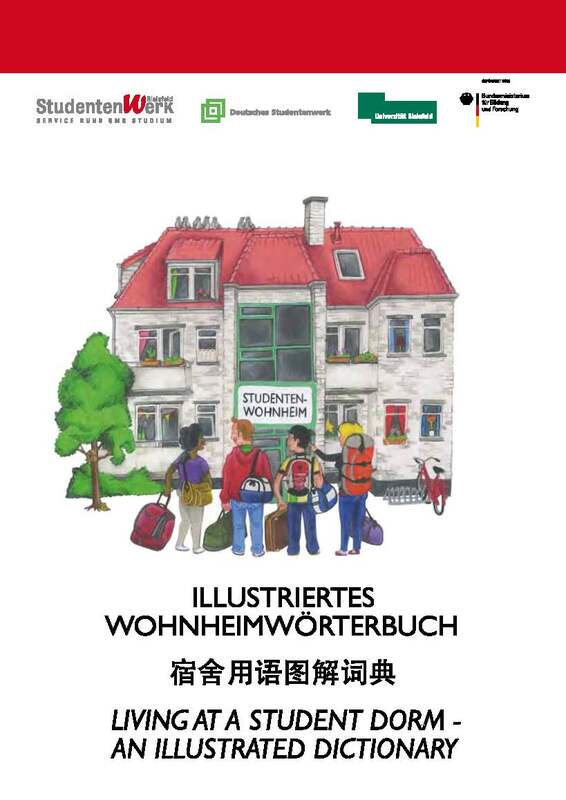 The dorm dictionary German - Chinese - English is available here as a PDF file. The dorm dictionary German - French - Spanish is available here as a PDF file. 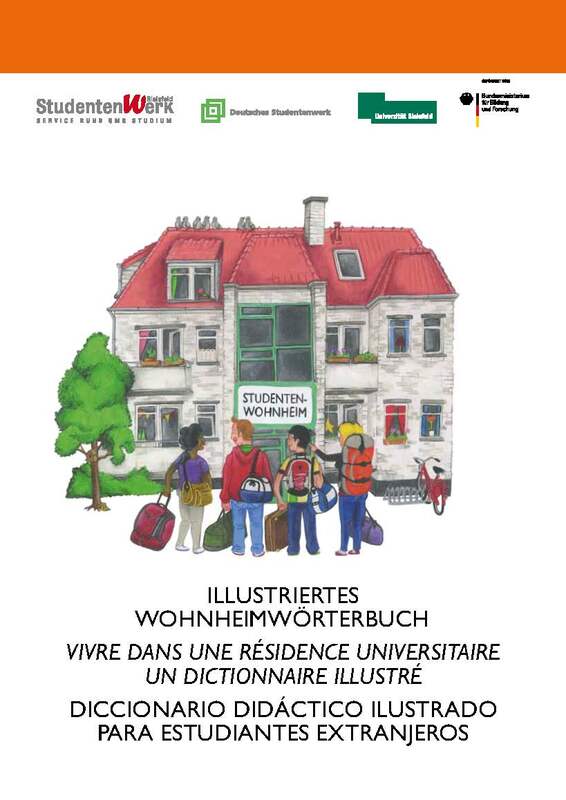 The dorm dictionary German - French - Arabic is available here as a PDF file. 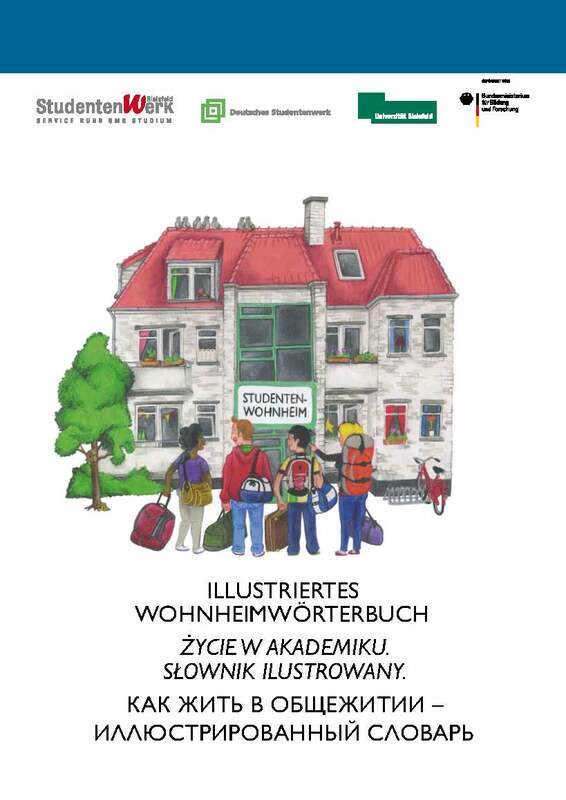 The dorm dictionary German - Polish - Russian is available here as a PDF file.